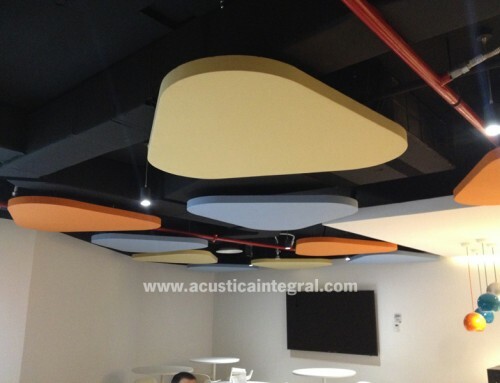 Acoustic treatment in meeting room. 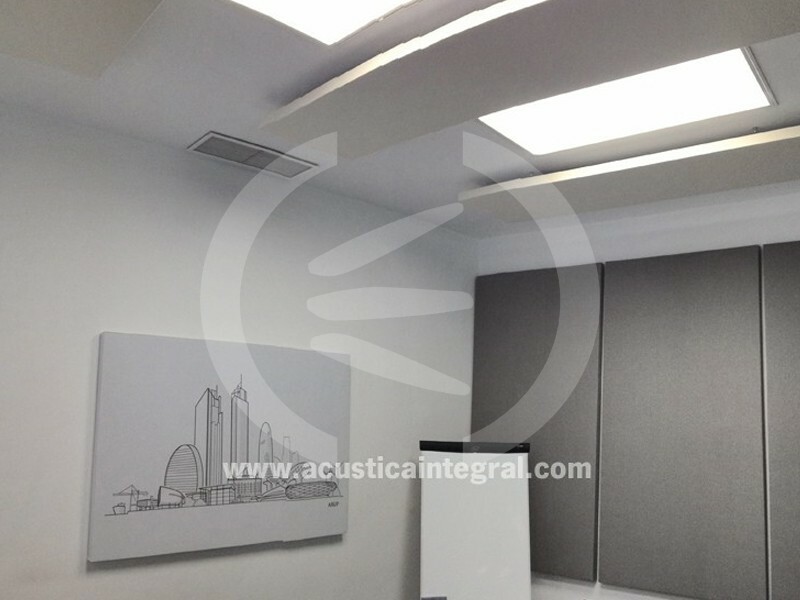 Project: Acoustic Conditioning meeting room. 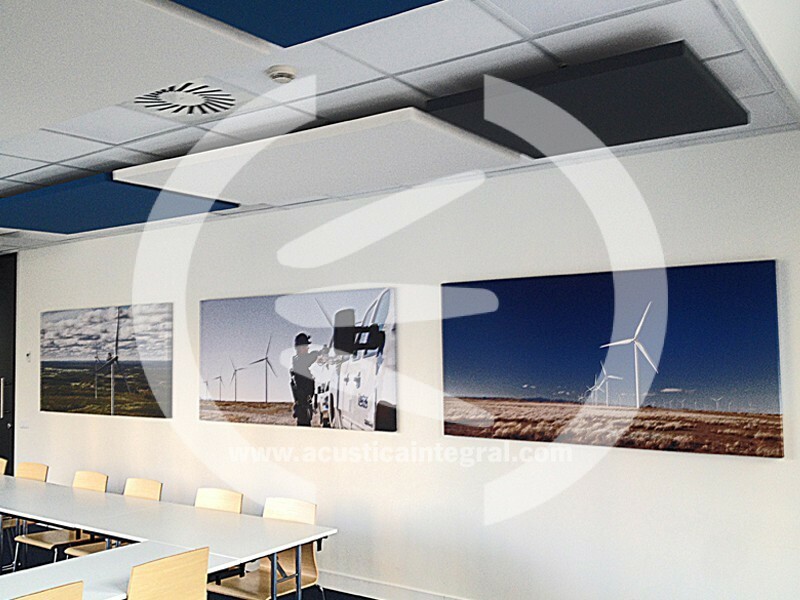 Acustiart panels for walls and ceiling. 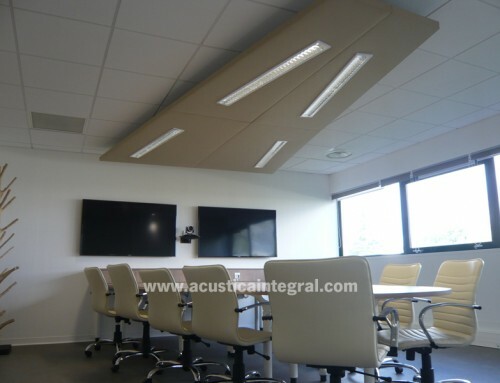 For proper acoustics in a meeting room, has made an absorbent based treatment Acustiart and Acustiart-DIGITAL systems, so that the reverberation time local avoiding an echo effect in conversations that are maintained through fits teleconferencing system. 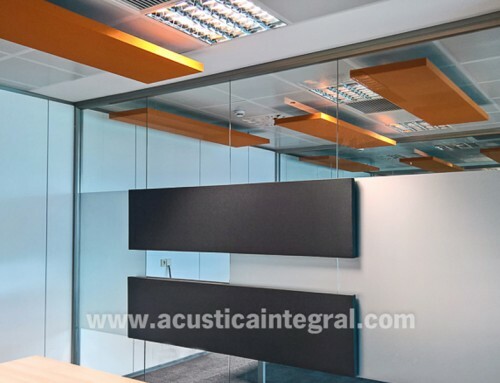 Acoustic absorbent treatment in offices. 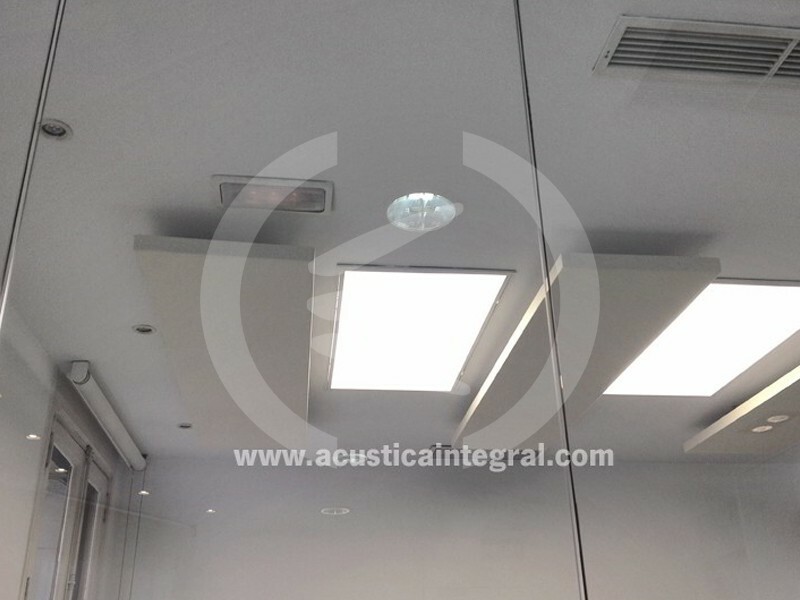 April 28th, 2017 | Comments Off on Acoustic absorbent treatment in offices. Absorbent treatment for conference room. 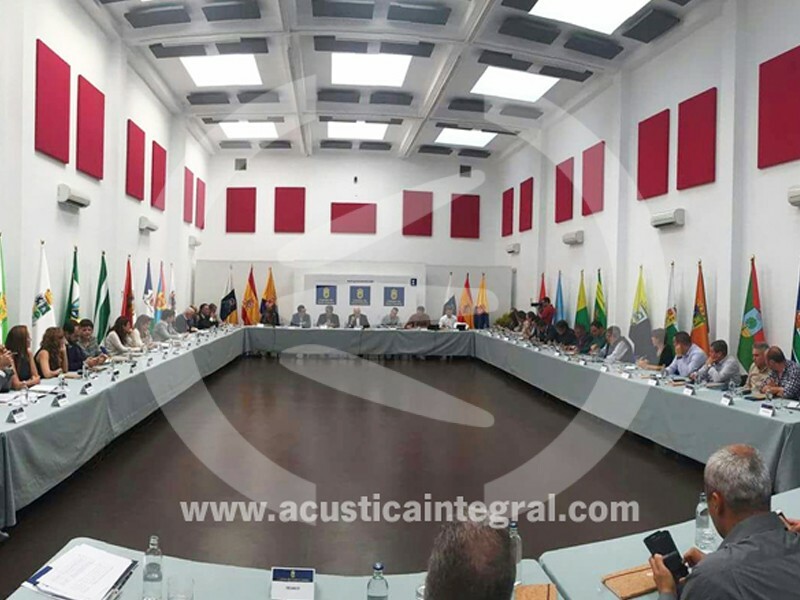 January 26th, 2017 | Comments Off on Absorbent treatment for conference room. 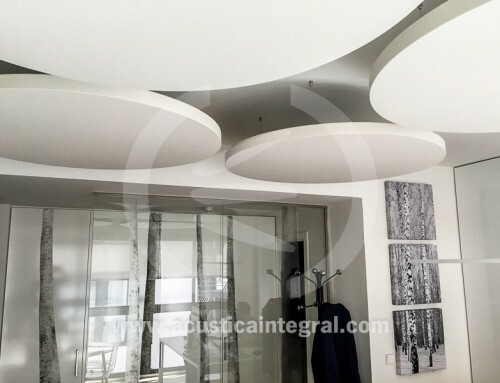 Acoustic treatment for a dining room area in offices. 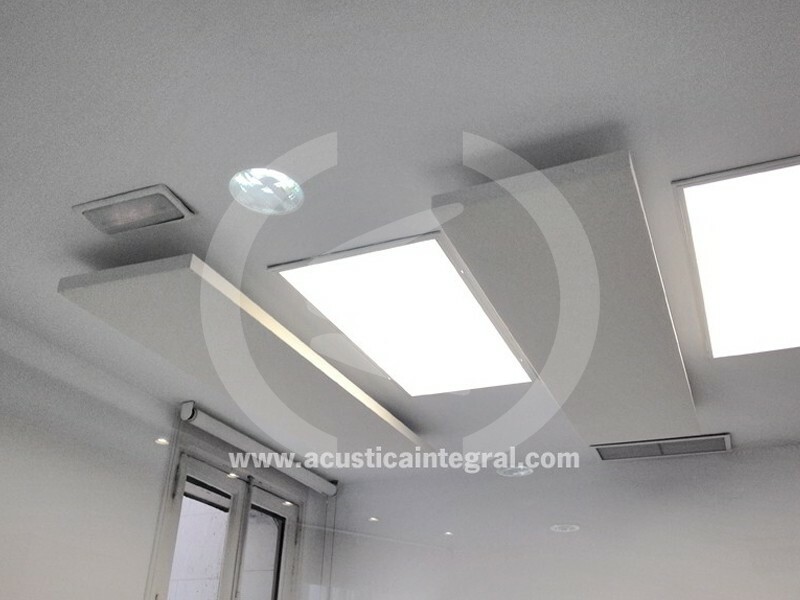 December 13th, 2016 | Comments Off on Acoustic treatment for a dining room area in offices. 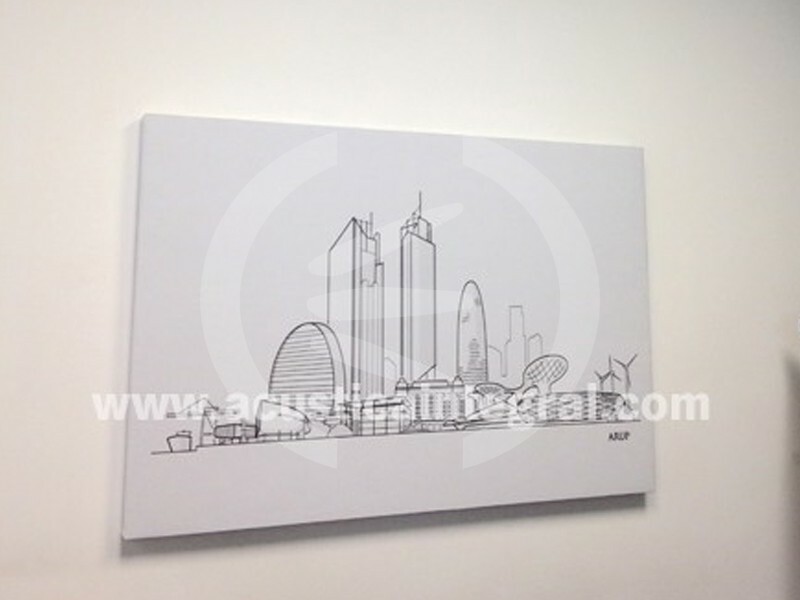 Acoustic treatment with Acoustic Islands in office. 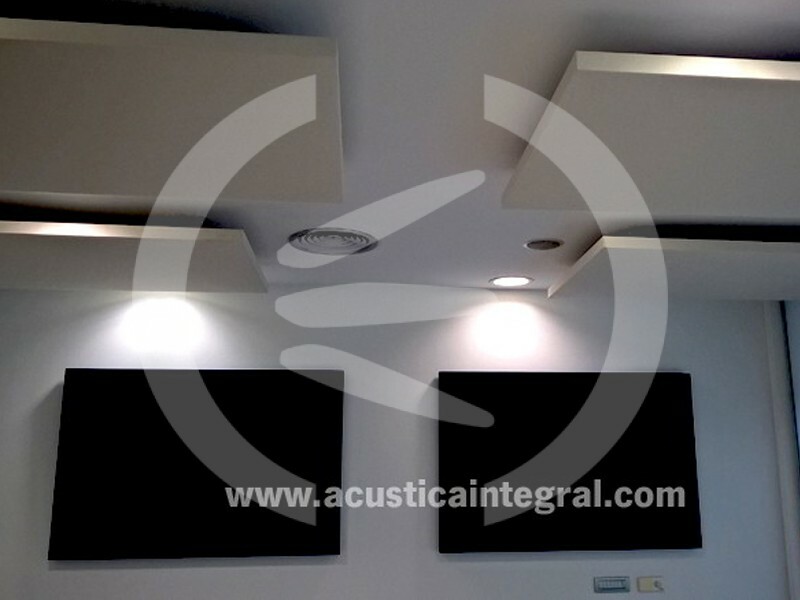 December 5th, 2016 | Comments Off on Acoustic treatment with Acoustic Islands in office.